Various types of deodorants and fragrances are cosmetics products increasingly being used. High demand for cosmetics has led to the cosmetic market growth all over the world and not only in Kenya. The key drivers as far as Kenya is concerned are the economy that includes a strong population growth, a growing number of middle-class people and a workforce which is educated. Increase in the growth of the beauty and personal care market in Kenya, is due to the fact that Kenya is being recognized as the sales and distribution hub for the larger part of East African market, this has attracted many international brands. Individuals have improved and changed their current lifestyles this has been among the key factors to the major growth of the Kenyan beauty and cosmetics industry, regarding the usage of cosmetics consumers have now become more conscious to step up their style quotient and overall personality in their daily lives. Clearly, this is a huge market where men and women splash on themselves to look good and smell nice. Major cosmetic companies in the country have been increasing their sales in emerging markets like Kenya, where the beauty industry is valued at over 100 billion shillings, as customers become more conscious about their looks and grooming. Flame Tree before taking in Monalisa skincare brand bought Miss Africa, Black Angel shortly thereafter to trade in East Africa. The fourth acquisition that the Flame Tree Group has made since its 2014 listing on the Nairobi Securities Exchange. By the end of 2019 Kenya's color cosmetics market is estimated to be worth sh6.6 billion from Sh5.4 billion. 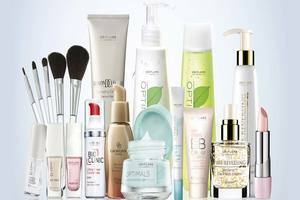 Under the manufacturing arm, the Flame Tree Group's annual report says that the cosmetics division is accounted for 74% of the company's portfolio with trade arm having the rest. Barely before the French beauty and cosmetics giant L'Oreal, the Suzie Beauty takeover comes acquiring Nice & Lovely range of products from Paul Kinuyhia startup Inter Consumer in a deal worth more than Sh1.5 billion. Targeting Kenya's fast-growing lower end of the market L'Oreal one of the largest cosmetic groups in the world purchased Inter Consumer Products, where it had no presence. When the company clocked 40million units that gamble paid off in sales after the acquisition, up from just 2million the year before. Especially in the color cosmetics field, Kenya is about to hit growth period. Through multi-million shilling acquisition deals the cosmetics industry has become Kenya's new hub of investment that is pulling in big money to establish new lines of business and to snap up successful enterprises.